Elyse d’Abreau knew what her life was supposed to look like. She was a talented singer living in Trinidad and Tobago with her tight-knit family. She and her twin, Natalie, were on the brink of stardom. They were only days away from going on a world-wide singing tour. Her dreams were about to come true. But a tragic accident forces Elyse to reconsider her goals. Elyse can’t sing anymore and needs space from her former life. She moves to Oregon to live with her aunt and cousin, and learns to rebuild her life in a new place. When a cute boy comes for the summer, though, she’s intrigued. Their romance blooms over a love of boats, their families, and an unhealthy competition that threatens to destroy the Oregon home she’s come to love. Elyse. Elyse stands up her herself and her friends, and has a clear morale compass for right and wrong. I also love how she owns her sexuality in so many ways (listen to the podcast for more steamy details!). trumped always by kindness and human decency. The full poem is even more beautiful. YES. This book is beautifully written romance story with unique, diverse characters. We highly recommend it. According to her website , Sarah Ockler does tarot readers for her characters and plot. 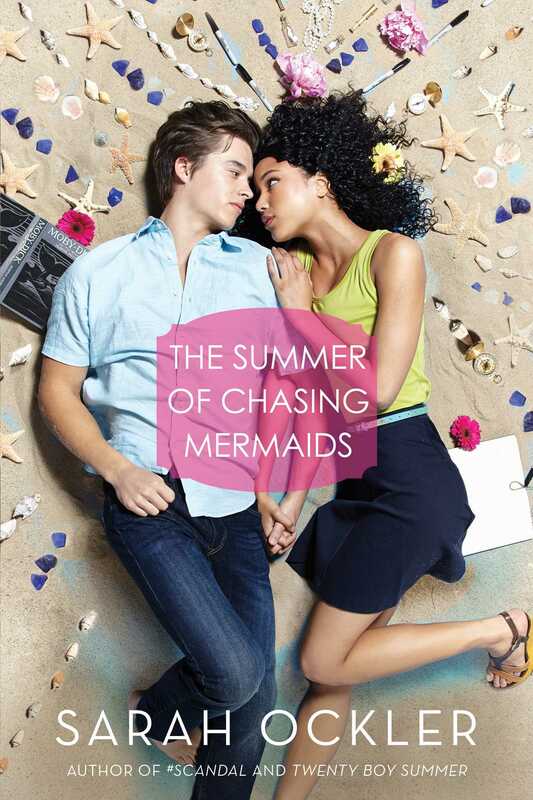 Tarot cards appear a few times in Summer of Chasing Mermaids – now we know why! For another (slightly sadder) romance, check out My Heart and Other Black Holes by Jasmine Warga. Aysel and Roman are both regulars in online suicide forums, and make a pact to help each other die. But as their romance blooms, Aysel realizes that she’s not sure she’s ready to die. We reviewed this book last April on the blog!